Wetegrove was an undergraduate intern who majored in History, with her research interests including American history and material culture. 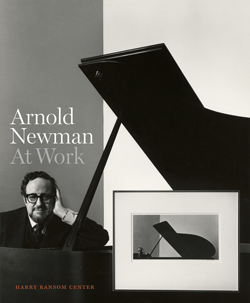 Donald Albrecht, exhibition organizer and curator of architecture and design at the Museum of the City of New York, discusses industrial designer Norman Bel Geddes’s influence on the American landscape. Albrecht—editor of Norman Bel Geddes Designs America (Abrams)—emphasizes the breadth of the Bel Geddes collection at the Ransom Center, which includes Bel Geddes’s plans and sketches of his futurist visions. 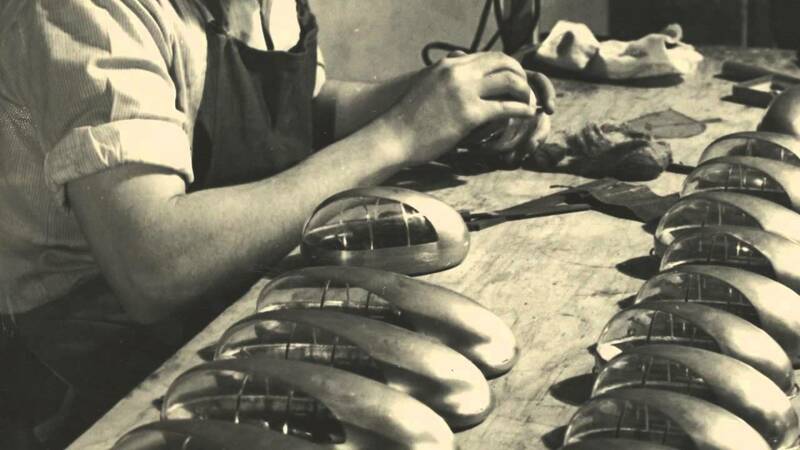 The exhibition Norman Bel Geddes Designs America, which was on view at the Ransom Center in fall 2012, opens at the Museum of the City of New York today. To celebrate this traveling exhibition, the Ransom Center is giving away a free “I Have Seen the Future” totebag to all Ransom Center visitors, while supplies last. The galleries are open from 10 a.m. to 5 p.m. today. Known for the family dynamics she enmeshes in her work, Jayne Anne Phillips uses her own family history as a source for character and plot development in her debut novel Machine Dreams (1984). 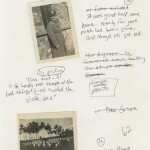 Phillips chronicles one family, the Hampsons, to explore narratives that span from the years leading up to World War II through the Vietnam War. 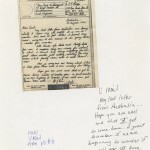 Phillips’s papers, which are now accessible at the Ransom Center, include letters, travel ephemera, army pamphlets, and public service announcements. 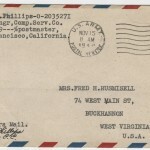 Drawing on wartime and post-war letters written by her father, and addressed to his aunt, Phillips captures the distress of mid-twentieth-century America. 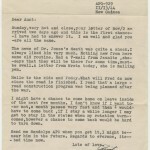 The letters also inform character development in Machine Dreams. 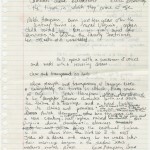 Seeing Phillips’s papers is like gaining access to an era of American life. 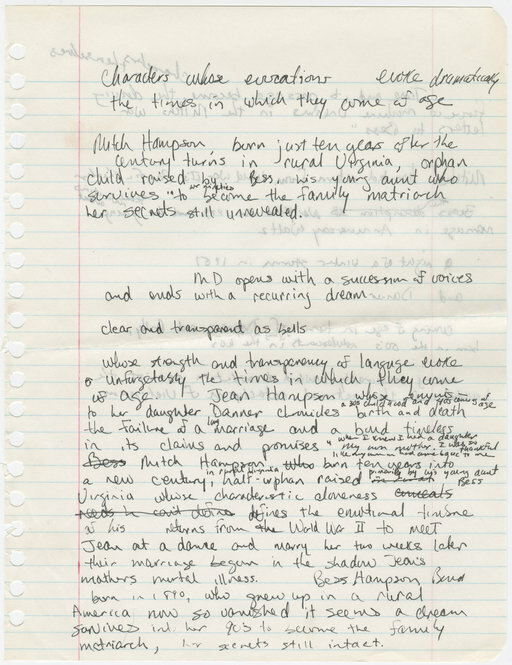 Family photographs in the archive supplement the early drafts of Machine Dreams, which Phillips scribbled in spiral notebooks. 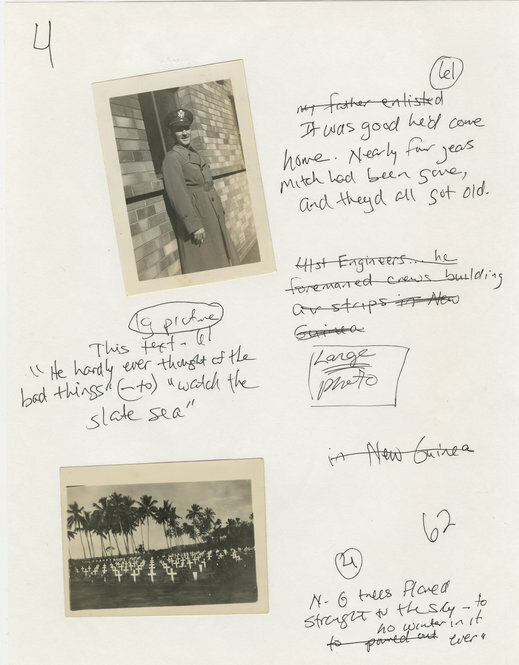 Annotations on photographs give meaning to otherwise nameless faces, revealing the ways Phillips develops her characters and narratives. It appears that personal relics guide Phillips’s process in the most intimate of ways—through family memories. 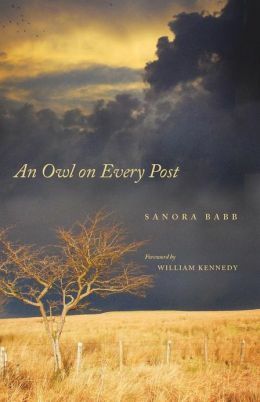 Phillips was a finalist for the 2009 National Book Award for her novel Lark & Termite and is the author of MotherKind (2000), Shelter (1994), Black Tickets (1979), and Fast Lanes (1984). 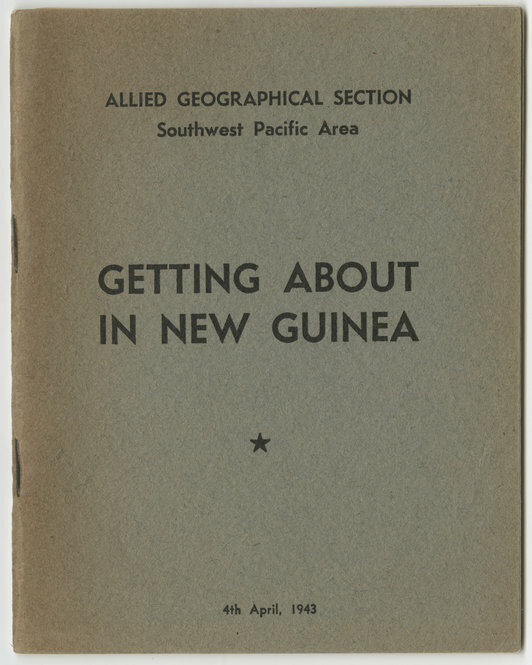 Wartime literature for troops in New Guinea. This pamphlet belonged to Jayne Anne Phillips’ father. 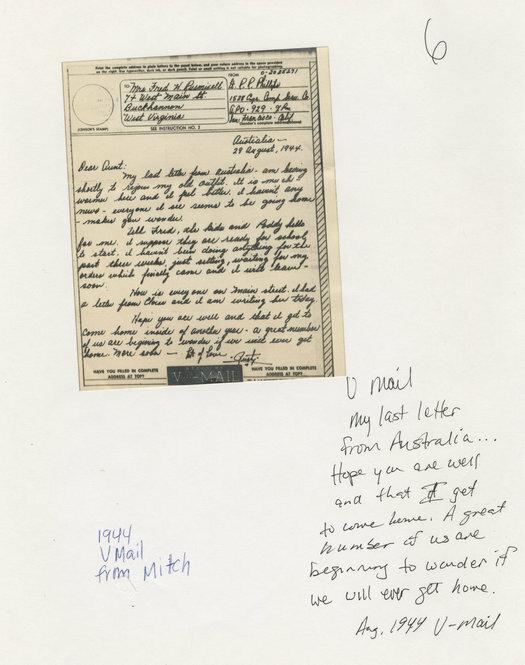 1944 correspondence from Phillips’ father becomes a letter from a character, Mitch, in “Machine Dreams.” The marginalia shows how Phillips draws from her family’s history to develop characters in her fiction. 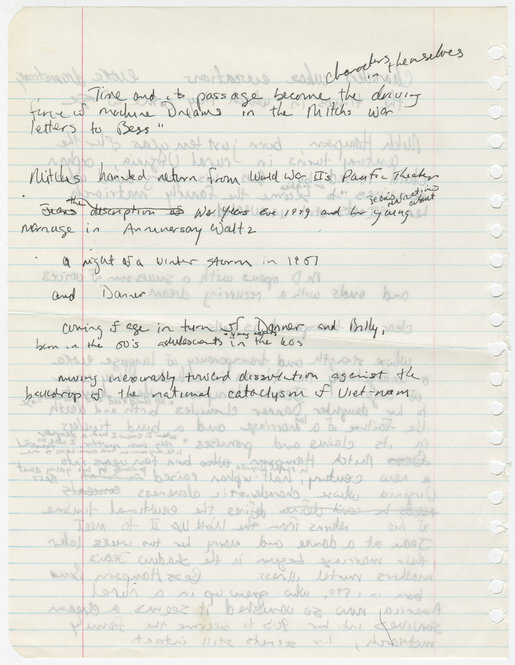 Phillips’ handwritten notes for “Machine Dreams” reveal analysis of family dynamics. 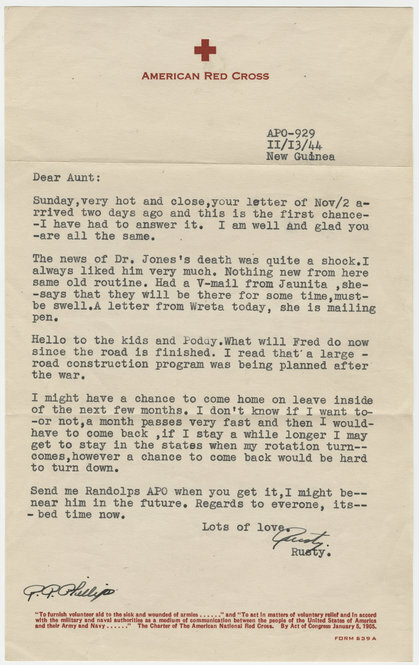 Phillips’ father sends his regards to “the kids” in a 1944 letter. 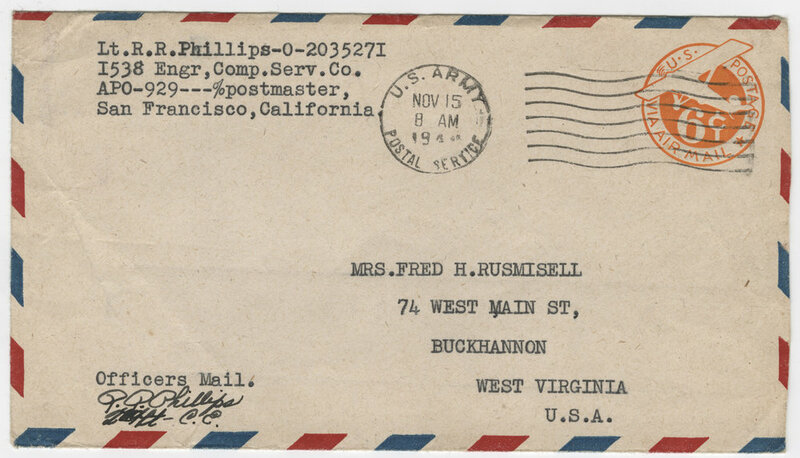 Airmail came by way of San Francisco for troops stationed in the Pacific Theatre of World War II. 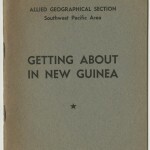 Norman Bel Geddes. Punch and Judy, clowns, airplane float for a Macy’s parade, October 12, 1926. 41 x 91 ½ inches. Pencil, ink, gouache, and watercolor on paper. 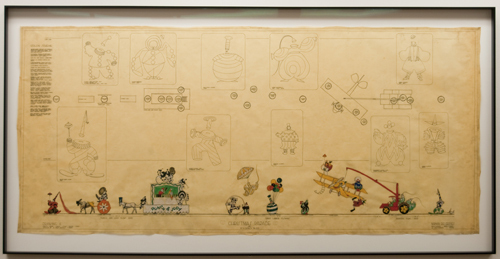 For Macy’s third annual parade in 1926, Norman Bel Geddes produced seven posters that now reside in the Ransom Center’s archive. Learn about the efforts of Ransom Center conservators to repair and frame one of the posters for the exhibition I Have Seen the Future: Norman Bel Geddes Designs America. The project was funded by a Tru Vue Optium® Conservation Grant from The Foundation of the American Institute for Conservation of Historic and Artistic Works. "America's Best Magazine? : Commentary in the 1960s"
A case of materials from the Commentary magazine archive is on display in the lobby for the Morris Dickstein lecture. Photo by Alicia Dietrich. 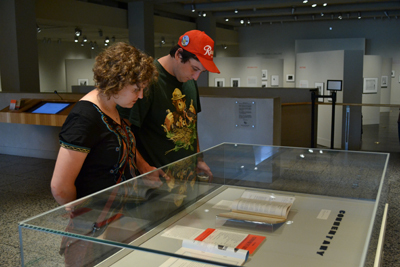 In conjunction with tonight’s lecture by author Morris Dickstein, an accompanying display case in the Ransom Center’s lobby features items from the Center’s Commentary magazine archive. Dickstein’s lecture, titled “America’s Best Magazine? 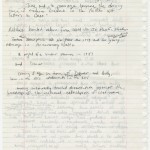 : Commentary in the 1960s,” takes place tonight at 7 p.m. in the Prothro Theater. The Commentary magazine archive was donated to the Center in 2011. The event will be webcast live at 7 p.m. CST.